Infini RF is a radiofrequency treatment that can be used for acne scarring as well as wrinkle reduction. 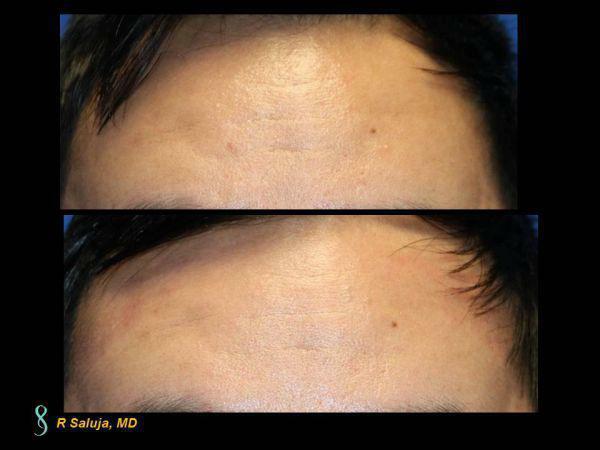 In Charlotte, NC, Dr. Saluja often utilizes this modality to treat the textural irregularities of acne scarring. The attractive feature of RF is that it can be used on any skin color, so there is a diverse population that can be treated. 3-4 treatments are recommended for optimal results which are spaced out every 6-8 weeks. This photo shows the improvement on the pore size and textural irregularities post one Infini RF. 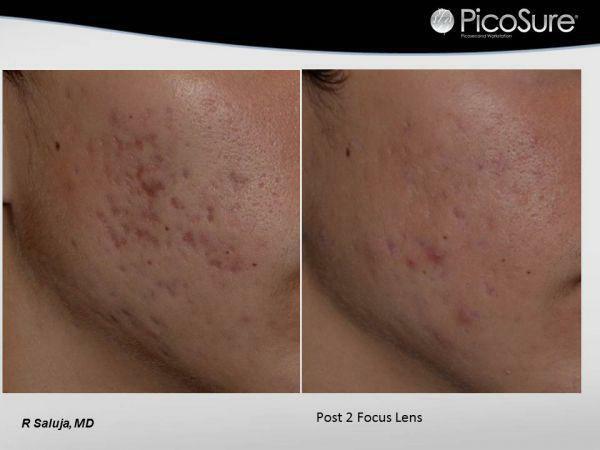 The Picosure Focus Lens has emerged as a useful tool when treating acne scarring. The low downtime procedure allows for a quick return to normal life. Depending on the depth and degree of scarring, 3 to 6 treatments are helpful to minimize the scarring.